Its a invisible barrier that has been so very close to being broken, with several cars in the 10.0 second range in the quarter mile, but this is the first Nissan GT-R in the 9's on stock turbos. Stock the Nissan GT-R does anything from high 11's in the case of the 2009 car, down to the low 11 second range with the 2012, and 2013 cars. 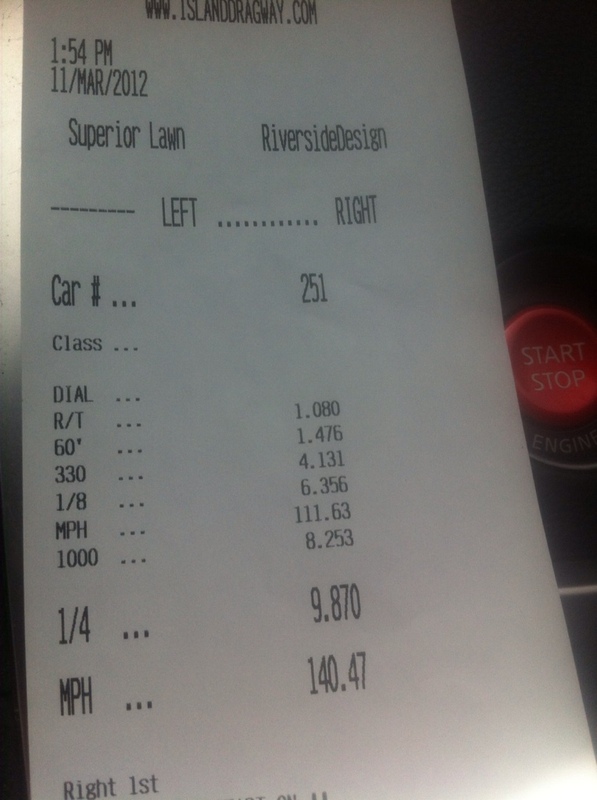 Today at Island Dragway, a stock turbo, stock transmission, stock engine, Nissan GT-R went 9.870@140mph. Huge MPH, awesome 60 foot with a 1.476 on LC4 or launch control version 4. The GT-R was tuned by Jack Cecil at Horsepower Logic on E85.